Community Navigators (or Promotores) are community members who receive specialized training to provide quality immigration services for their communities in an empowering and effective way. Community navigators are also liaisons between their community, legal service providers, social service organizations, and government representatives, and are engaged in community outreach, organizing, screening, document preparation, and/or application assistance. They are often advocates, educators, mentors, and interpreters in their communities. Community Navigators will play a critical role in providing accurate information, connecting community members with trusted legal service providers, and expanding access to screening, application support and access to counsel.Through the Community Navigator Training Program, more than 11,314 Community Navigators have been trained since 2015 to provide outreach, education, and immigration legal services assistance. 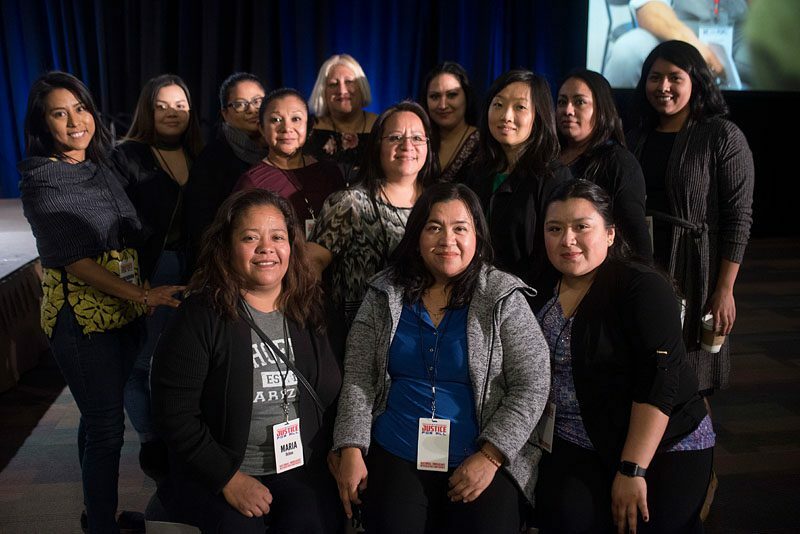 Member organizations within NPNA adapt their respective Community Navigators programs to their local context, but their local models do serve as variations on the theme of training immigrants to be welcoming outreach, education, and service intake specialists. For many Navigators, overwhelmingly immigrant women but in some places DACA recipients, this role has become the first rung on a legal services job ladder.